There are no rooms available at Brayne Court for these dates. Excellent breakfast and extremely well appointed room. The provision of tea and coffee facilities and cutlery, crockery etc is the best I have ever experienced. You were both lovely hosts, friendly and interesting to talk to and I was very interested to learn something about the history of the house. Anderson’s restaurant provided very high class cuisine at reasonable prices. The Saracen’s Head at Symons Yat was a good choice for lunch. Although it was quite a long drive we greatly enjoyed our trip to the Gower Peninsular both for sightseeing and walking. Quite simply perfect. I have never had the pleasure of staying in such a beautiful place. 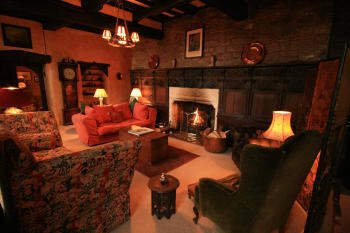 Brayne Court is a cosy comfortable place to stay with bundles of interesting history. The owners Jan and Nigel are extremely welcoming and friendly. I can’t recommend this place enough. Very friendly and high regard for detail that make a stay a special experience. Lovely house and garden, you will not be disappointed. This historic house and it's owners are exceptional. We were given a very warm welcome and tour of the rooms available to us, all of which were jaw dropping. Jan made us tea and scones. She also cooks the breakfast which is sourced locally from hens that lay double yolked eggs and a butcher who provides tasty lean bacon. We pre-booked a Saturday night meal at The Farmers Boy pub requesting a romantic spot. 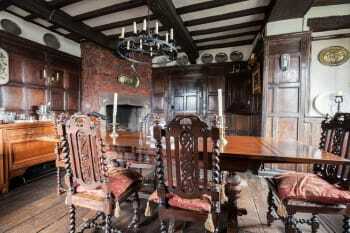 Glad we did as the extension dining room was more modern and busy. Also did some lovely walking along the river Wye round Biblins Bridge. Super friendly welcome to a stunning property. Location is pretty good for areas to visit surrounding, had super long walk in Forest of Dean. Hosts informative of what they provide and what is available around. Comfortable and quirky accommodation which I would definitely return to. Super hearty breakfast which set me up for the day. Forest of Dean abundance of walking opportunities. Thank you, Jan & Nigel, for an excellent stay. 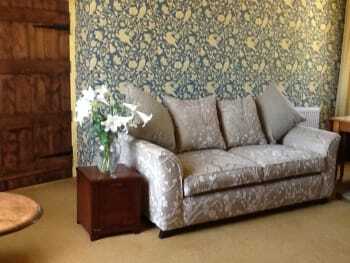 You provide an excellent and wonderful house, a very warm welcome and a fantastic breakfast. The Civil War history was a great addition, giving us a lot more background to our acommodation. This is a wonderful accommodation. If you are in the area, I would recommend staying here. 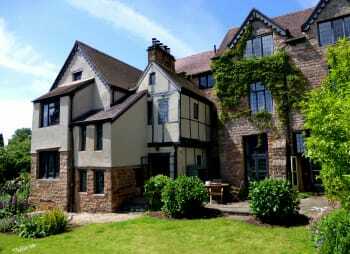 A lovely B&B perfectly situated to explore the Forest of Dean. This was an interesting house to stay in, with warm and attentive hosts. The breakfast is something else! There are plenty of local pubs and a great fish and chip shop. We went to the Mechanical Music museum in Northleach on the way from the midlands. It was a fascinating spectacle for anyone interested in the history of recording. And of course, the walking in the Forest is just sublime. The Forest of Dean is magical, although sadly the local towns are rather depressed due to lack of employment since the mines were closed. The Curry Leaf restaurant in Cinderford was very good, with great service. 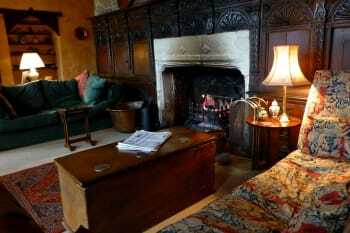 A wonderful and historic B and B, quirky, comfortable and the owners could not have been more helpful and welcoming. 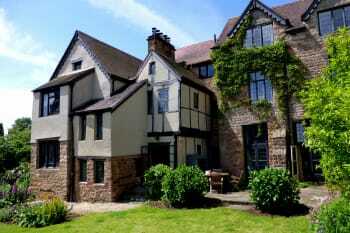 One to remember and certainly to recommend for a stay in the Forest of Dean. Fantastic Hosts that are so passionate about giving the best service possible. The house is amazing with so much history . Location is perfect for sightseeing around the forest. Really enjoyed our stay, a very warm and friendly welcome. If you had forgotten anything - it was all there to help yourself too just in case which I thought was a really nice touch. Teabags, coffee all in jars rather than individual packets, which I really liked - no un necessary packaging:) The hotel was in a great spot for local attractions. 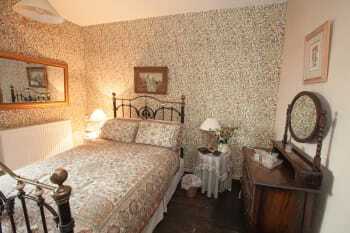 We stayed in the The Jacobean Suite which was decorated beautifully and it was extremely spacious. Everything about our stay was wonderful. We were recommended the White Hart pub for something to eat which was lovely, we both couldn't fault the food. We had a taxi there, I would recommend booking one early for the way back as we struggled getting one on a whim! 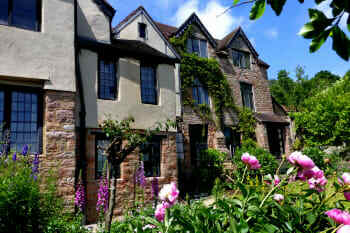 Brayne Court is possibly the most fascinating place we have ever stayed. 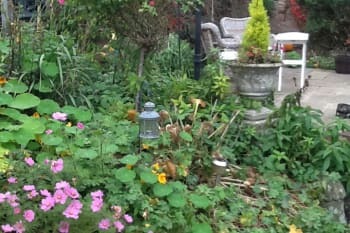 From the moment we arrived to meet Nigel in the garden playing with his grandchildren we felt at home. Nigel and Jan are superb hosts, and took whatever time we wanted to explain about the history of Brayne Court, right back to the middle ages. 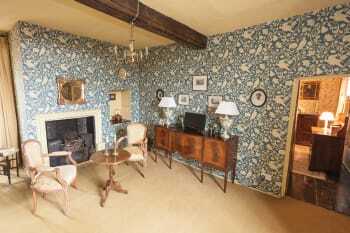 Our beautifully appointed apartment, in which ancient and modern merged seamlessly was comfortable and homely. Breakfast was an event in itself with freshly cooked food of our choice provided by our superb hosts. All this in surroundings fit for a King, albeit on a smaller scale! Fantastic place to stay and thanks to Nigel and Jan for getting our Cotswold break off to a great start. Rural setting slightly limiting for eating options on foot. The Belfry Hotel, a few minutes away, serves decent quality pub grub. Hotel next door has an Indian restaurant which unfortunately was closed when we were there. The Old Jail exhibition on the other side of the village is a must for those who are interested in criminal history. We went for an hour and stayed for 2! 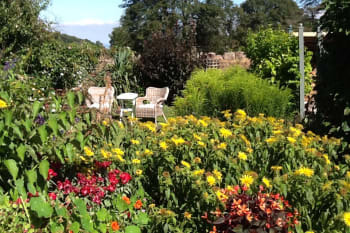 Westbury Court Garden is 10 minutes drive and is well worth a visit. Jan and Nigel were most helpful, welcoming hosts, full of information about Brayne Court and the surrounding area. Breakfast was superb! Jan and Nigel were lovely hosts and really went the extra mile. Will definitely stay here again, couldn’t have asked for anything more! We had a great stay at Brayne Court. 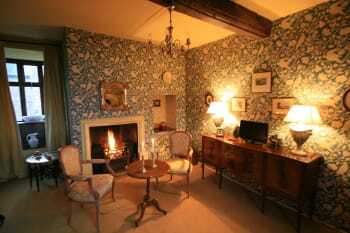 Beautiful, comfortable room and great breakfast we were very well looked after. Highly recommended. Such a unique b&b a wonderful find. 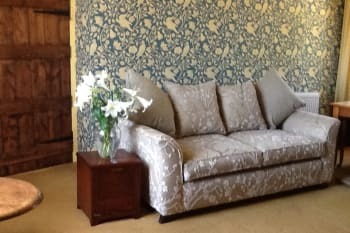 you are made to feel so welcome by the owners Nigel and Jan who can not do enough for you. Breakfast was amazing, we could not put one fault on the place, we had a very enjoyable stay .... we will be back for a longer stay. James and Nicola from Southampton. 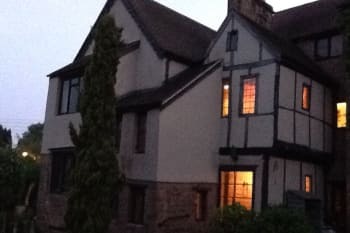 We had a fantastic stay at Brayne Court. Jan & Nigel are such friendly and accommodating hosts and catered to all our needs, including an amazing vegetarian breakfast as well as welcoming our little dog into their home, who also had a great stay! 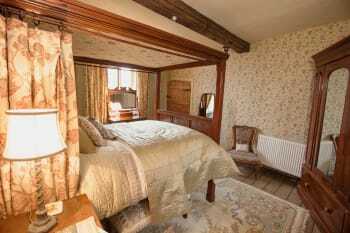 We stayed in the Jacobean Suite which is both beautiful and comfortable, and has plenty of space and all amenities you could wish for. We will definitely be back for another stay in the future! Amazing accommodation with excellent hosts. Wonderful breakfast. Beautiful house with great history. Very nice and friendly people. Experience to renew. Stunning! 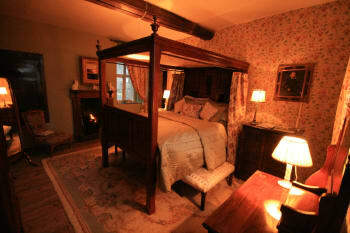 The Jacobean Suite is wonderfully comfortable and very highly recommended. Nigel & Jen are the perfect hosts; friendly, informative and exceptionally good at what they do. Tea & scones on arrival and an unsurpassed breakfast. All this and a fascinating house in a beautiful area. Look no further. We only stayed one night but the pub next door is great & has an Indian restaurant serving very tasty food.